Tax reform was a difficult agenda for any government, but it began to take shape under the Mulroney government in 1988. Tax reform wasn't in the platform for Brian Mulroney's Progressive Conservatives in the federal election of 1984. But almost three years after they took office, Finance Minister Michael Wilson tabled a white paper on the subject. 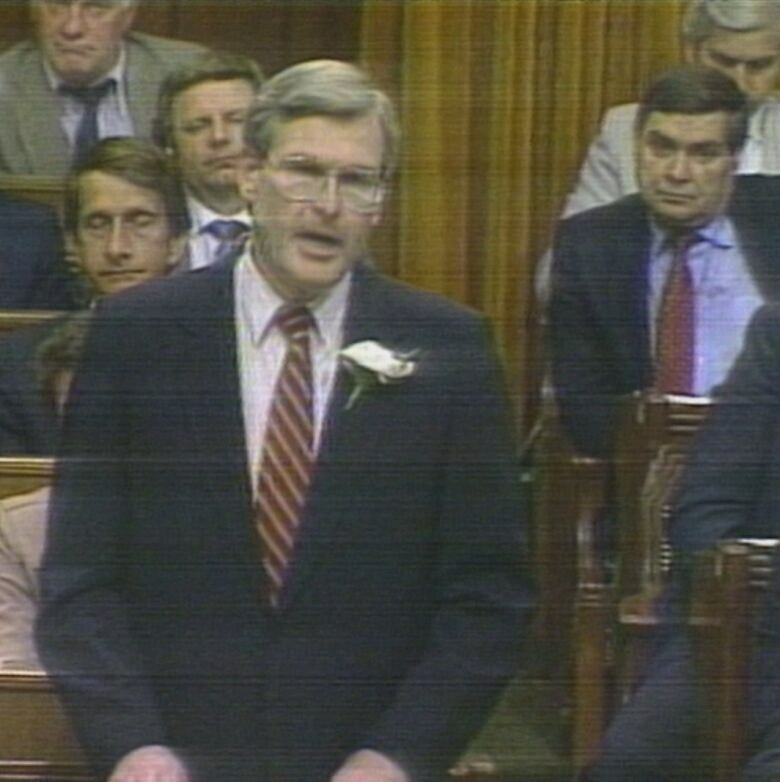 "The existing sales tax will be replaced by a new sales tax that will apply to a much broader base," he told the House of Commons in June 1987. 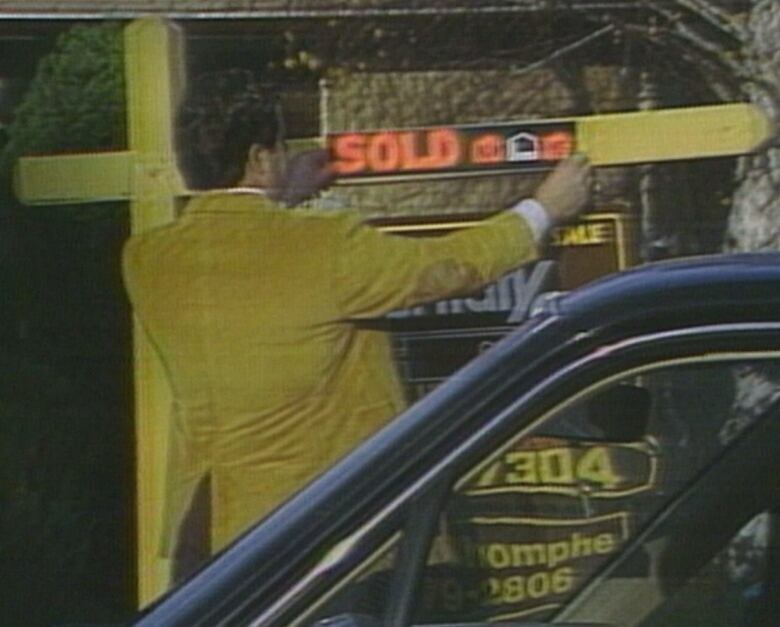 But as CBC's The Journal reported on Oct. 31, 1988, the subject went to the "back burner" after that. By then the next election campaign was being fought, bringing new scrutiny to the tax reform plan. "The government's sweeping changes to the sales tax are still not known in detail," said Paul Griffin, host of The Journal. "What it seems to prefer is a value-added tax, where the tax would be charged at every point where value is added to the making and distribution of a product." 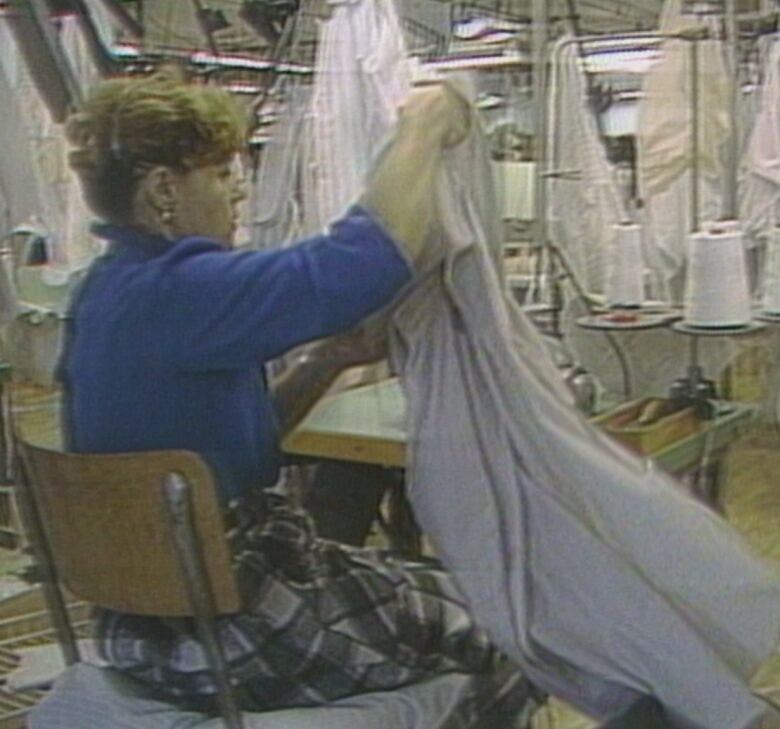 A table, used to explain a tax Griffin accurately warned viewers was "complicated," showed how the tax would work, using the example of a shirt manufactured in Canada. It showed the tax being applied at the factory, wholesale and retail levels. A net tax was added at each level, on the value added to the product at that point. Provincial taxes levied at the point of sale wouldn't change. "Under the current system ... a hidden federal tax is collected only on manufactured goods," explained Griffin. "A new national sales tax would replace that hidden tax, and it would apply not only to consumer goods but to services." Those services could include daycare or real-estate agents' fees, or "even a haircut." But Wilson promised that food, prescription drugs and some government services would not be subject to the tax. Even though an election was coming three weeks after this report, the proposed new tax wasn't on the radar of most voters. It was largely overshadowed by another economic issue: free trade. The Progressive Conservatives won that election and introduced the new tax, by then known as the Goods and Services Tax or GST. It was so unpopular that Prime Minister Brian Mulroney had to invoke a little-known section of the Constitution just to push it through Parliament, and his party was reduced to two seats in the 1993 election.